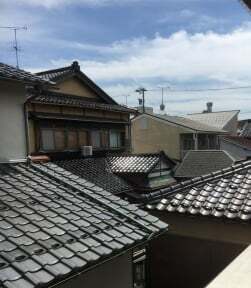 Guesthouse Hakuka is located in higashiyama 3-chome kanazawa city ishikawa prefecture. It is 2km from the kenrokuen, and the kanazawa jiao park. which has 1.2km to the omicron market. 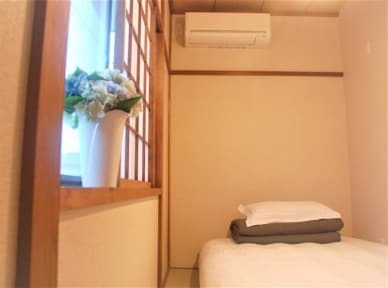 (seafood market)It's the best accommodations for your sightseeing in the quiet .quaint residential area next to east Chaya Street.Opened in july 2017. There are two standard rooms in the library.There are two rooms dormitory.Than there is a Shared space and a Shared kitchen. public Wifi. You will find a coffee machine in the room. Each room comes with a shared bathroom. For your comfort, you will find free toiletries and a hairdryer. Guesthouse Hakuka features free WiFi throughout the property. Myoryuji - Ninja Temple is 2.5 km from Guesthouse Hakuka, while Kanazawa Yasue Gold-Leaf Museum is 100 m from the property. Komatsu Airport is 30 km away.